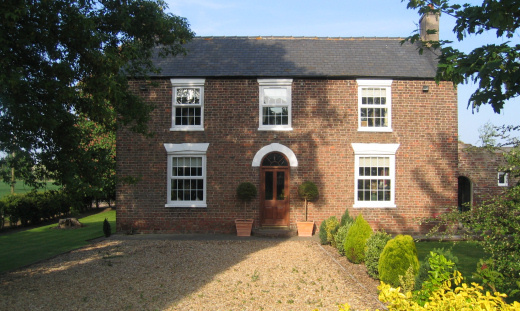 Situated in the heart of the South Lincolnshire Fens just a few miles out of Spalding, overlooking the farmhouse gardens, grounds and paddocks, Stennetts Farm Cottages offer an ideal base, whether you are on business, touring the area, visiting family or friends or just wanting to get away from it all. 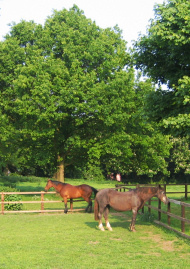 If you are working in the area on business, Stennetts Farm Cottages are only a ten or so minutes drive from Spalding and Holbeach, and only a twenty minutes drive from Wisbech, Cambridgeshire and under half an hours drive from the city of Peterborough. Full internet facilities available in all cottages. The Fens are unique in character, undiscovered, unspoilt and distinctively different from any other area of the Country. Crafted by man from the salt marshes, the Fens are a wildlife haven with an abundance of flora and fauna on your doorstep. The tranquil open countryside merges into quiet country roads and uncluttered waterways which are ideal for walking and cycling. It is possible to walk from the farm along public footpaths and bridleways all the way to the Peter Scott Lighthouse at Sutton Bridge where the River Nene meets the sea - and you would probably not see a soul. With your own key, you can come and go as you please, morning, noon and night, and if property hunting in the area Stennetts Farm Cottages will give you an ideal opportunity to get a real feel of the area, the towns, villages, open countryside and its people. Much as we all love our family and friends we also need time on our own to relax and recharge. The Cottages give you your own private living and breathing space to prepare for a family wedding or celebration, without feeling in the way and also somewhere to retreat to at the end of it all, without having to get up the early next morning to help with the clearing up!